January 2019 Update. 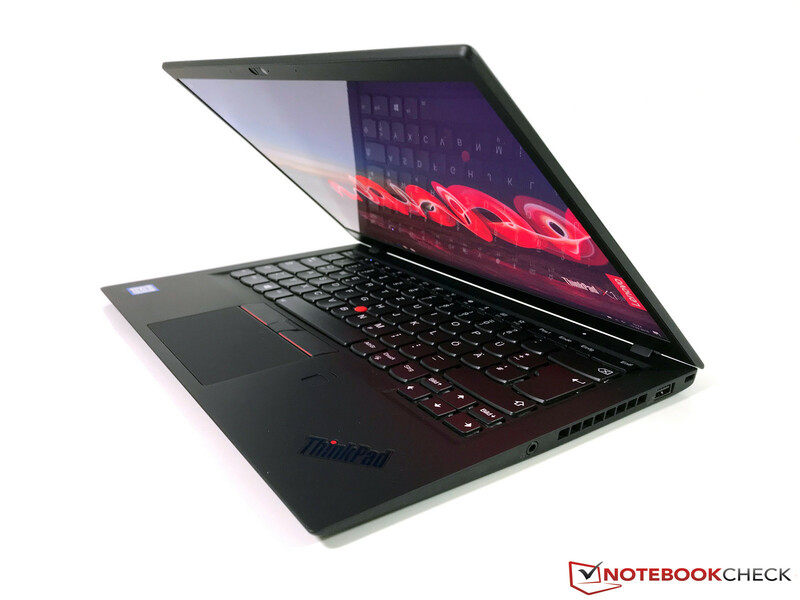 Here you will find the best current notebooks for picture and video-editing on the go. Our list of top models is regularly updated, maintained and commented on and it should assist in purchasing decisions. The following table is an overview of the best notebooks for mobile picture and video-editing that we have reviewed over the last 12 months in terms of the rating criteria display, application performance and weight (equally weighted factors). The table can be sorted by clicking its headers and filtered by entering text in the text field above it (e.g. "matte"). More and more notebooks omit diverse ports; especially a full-fledged SD-card reader. The most prominent examples are the current MacBook Pros, which do not feature any other ports beyond Thunderbolt and headphone jacks. Many notebooks, including the Lenovo ThinkPad X1 Carbon, only come with a microSD-card reader and therefore do not qualify for our list. 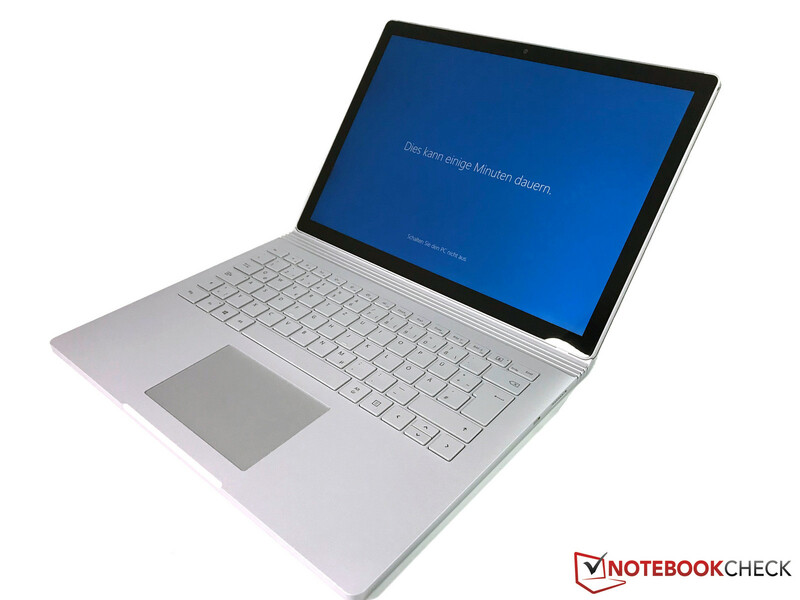 However, there are also positive examples such as the Microsoft Surface Book, which brings a full-fledged SD reader. MSI's Prestige PS42 is an attempt to establish a business device with slim bezels and a nice design, and it worked considering the place in this ranking. MSI also includes a full-fledged GPU (25W TPI), so even more demanding GPU tasks are no problem. The screen shows accurate colors and is has a matte surface. You also get long battery runtimes on this light and mobile device. We do not like the low stability of the slim chassis and the missing Thunderbolt 3 port, which should have been included considering the comparatively high price of the MSI device. The MSI Prestige PS42 is still a compelling first try and deserves a recommendation. Have you been waiting for a slim, stylish subnotebook for a long time? Of so Asus might have the right notebook for you with the ZenBook 13 UX331UN. 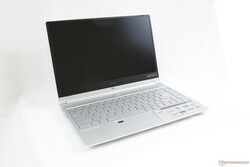 The 13-inch notebook features an IPS display and offers a very long battery life. It stayed comparatively cool but got pretty load under medium load already. The slim case is the GeForce GPU’s biggest nemesis, and accordingly Asus has opted to reduce clock speeds by default. You should thus not expect miracles, but apart from that the notebook is very powerful and portable. You get a compact and very stable metal case when you buy the Schenker XMG Neo 15 with optional extras like high-refresh panels or rapid SSDs. Its components are configurable and the Turbo utilization of the CPU is good, but you have to live with warm temperatures and loud fans under high workloads. 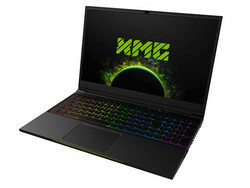 Both the processor and graphics card offer plenty of performance in return, even for more demanding video editing and the XMG Neo 15 also features a mechanical keyboard. 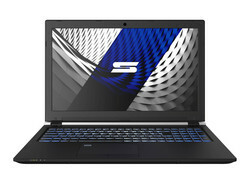 Light and thin gaming notebooks are not only ideal for gaming but also photo and video editing on the road thanks to their good displays, their high levels of performance, and their decent battery life. The only things that will possibly make creatives cringe are the high weight and the gaming-oriented design. 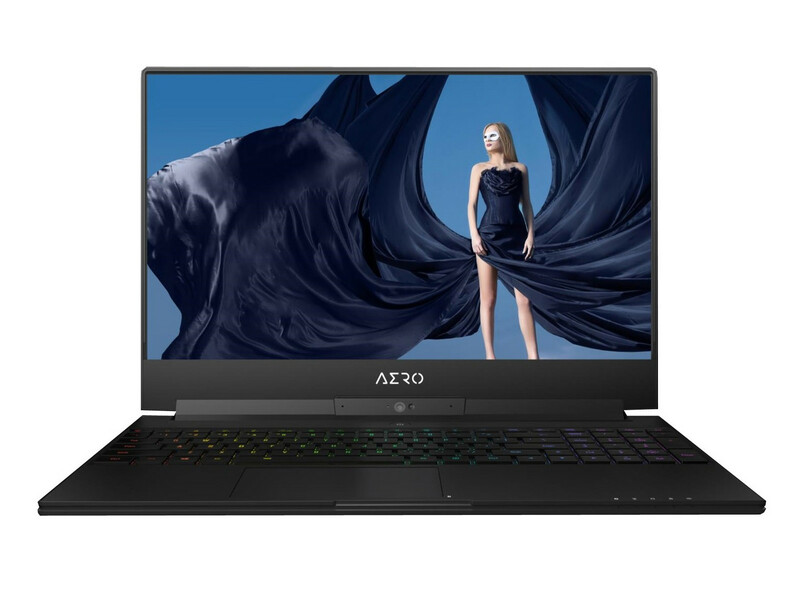 The Gigabyte Aero 15X seems to fit all those descriptions: its matte FHD display covers almost the entire sRGB spectrum and AdobeRGB by 60 %. Maximum brightness is 300 nits and thus at the usual level. The only downside was the uneven brightness distribution and the halations at the bottom of the display. A total of six cores promise plenty of oomph particularly for video rendering. Battery life was okay, and the design was somewhat low-key. Even its weight of slightly over 2 kg was acceptable. 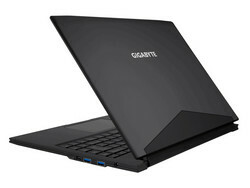 However, the Gigabyte Aero 15X v8 is anything but a quiet notebook once it gets going. This is where it shows its true colors – it is, after all, primarily made for gamers that tend to be less sensitive to noise and not photo and video editing professionals. Nevertheless, its high level of performance combined with its low weight alone warrant a closer look. The Gigabyte Aero 14 v8 is not quite as powerful as some mobile gaming laptops, but offers long battery runtimes and still acceptable emissions (noise, heat) in return. 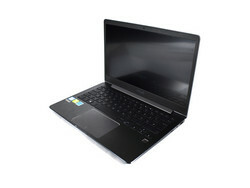 The Aero 14 is more of an all-rounder among these devices: It is comparatively light and mobile, but not as powerful. The Schenker Slim 14 proves that a slim laptop can be equipped with a full-size card reader, even though it is also slightly heavier than the lightest systems in this ranking. You can configure it based on your requirements and is even available with an LTE modem. The design might not be spectacular, but the case is very sturdy and we like both the keyboard as well as the performance of our test unit. We only found minor issues like the quiet speakers and the slight performance throttling under sustained workloads. The Slim 14 is a very solid device if you don't pay all that much attention on the design. 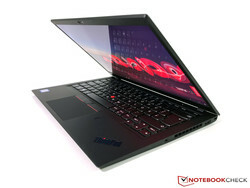 You will definitely find the ThinkPad X1 Carbon if you are looking for an extremely mobile laptop. Thanks to a weight of just 1.1 kg and a height if just 1.6 cm, it easily fits in every bag. There are some small design changes, but we basically know the chassis from last year's model. New features include the mechanical docking port on the left side, which consists of two USB-C ports and a proprietary network connector. Intel's current quad-core ULV processors are obviously available as well, and the performance utilization is decent considering the slim case, even though this results in warm surface temperatures under load. Another highlight is the new HDR screen with WQHD resolution. It is extremely bright with wide color gamut, but there are also drawbacks. The panel is very glossy, for example, and the fan still tends to pulsate even during light workloads. 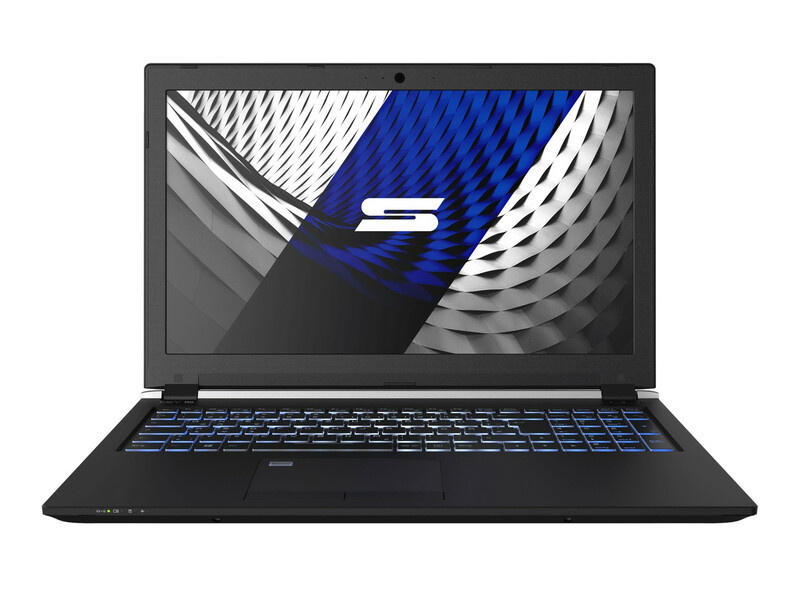 Some throttling and warm temperatures are unfortunately not uncommon for compact gaming laptops, and the Schenker Key 15 is no exception. You can at least control the fans manually, so you get the full performance when you need it. There is definitely sufficient performance, you get a 144 Hz screen, and good input devices. The battery runtime is not great though. 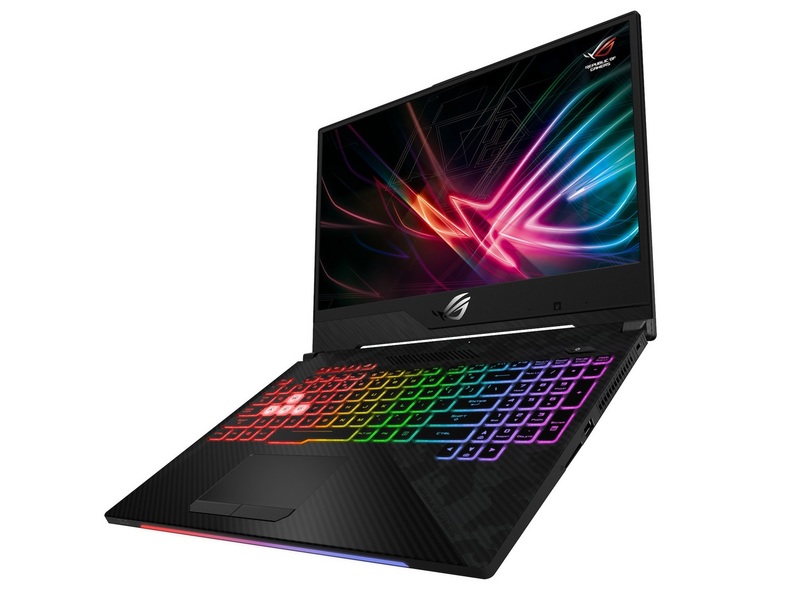 The ROG Strix GL504 from Asus is sitting right between the slim competition and classic desktop replacements in terms of weight and height. Depending on the SKU, you either get a GeForce GTX 1060 (GL504GM) or GeForce GTX 1070 (GL504GS), even though the latter does not support Nvidia's Optimus graphics switching, which affects the battery runtime significantly. There is no G-Sync, either, so we cannot understand the decision. 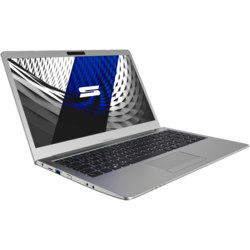 Otherwise, the 15-inch gamer leaves a good impression except for the high fan noise under 3D workloads as well as the missing Thunderbolt 3 port. We like the responsive 144 Hz panel in particular, which features slim bezels. The input devices as well as the sound are not bad, either. A comprehensive illumination is also included. The Surface Book 2 is a very chic and powerful convertible, blessed with long battery life and equipped with very good input devices. However, Microsoft could have done better here and there. The charger, for example, is not nearly powerful enough and takes its sweet time to fully charge the battery. Why is there no Thunderbolt 3? And where is the Surface Pen that was included with the predecessor? Nevertheless, the Surface Book 2 scores particularly well in the categories most important for photo- and video editing. The display covers almost the entire sRGB color space, AdobeRGB by 64%, and features a very high contrast ratio. Microsoft’s convertible is featherlight and highly portable at only 1.6 kg (~3.5 lb), and more than powerful enough despite its passive cooling. As long as it is plugged in, that is.